Dave Roth is a Client Executive and the Surety Practice Leader at Horton. In this role, Dave is responsible for providing innovative surety services to new and existing clients. He oversees a team of surety specialists dedicated to driving down their cost, work, and risks. Dave brings over 25 years of experience to the surety practice at Horton. His many roles in the surety arena have given him valuable insights into resolving unique surety-related challenges. 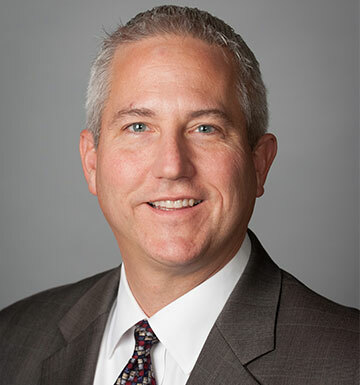 Before joining Horton, Dave served as Director of Risk Solutions at Aon and as Senior Vice President for Surety at Marsh. Horton’s surety bonds enable construction and many other contractors to successfully grow their businesses. Together, the Surety and Construction Practices rely on their respective teams for a collaborative environment fostering deep knowledge of the each practice’s trends, therefore, discovering the most cost-effective solutions for clients. Dave’s philosophy on the surety business as a whole is that there is a lack of creativity by many providers. For Dave, the most rewarding aspect of his role as Horton’s Surety Practice Leader is being able to help his team members grow and take on new responsibilities. Dave received a Bachelor of Arts degree in Business from Bowling Green State University in Bowling Green, Ohio. Dave is a native of Rocky River, Ohio, located just west of Cleveland. He currently lives in LaGrange Park, Illinois with his wife and daughter. In his time away from work, Dave enjoys playing tennis, skiing, and travel. Most of all, he enjoys spending time with family, especially as the referee for his daughter’s soccer games.